The authorities in Argentina remain very much invested in U.S. dollars because that is the foreign currency most preferred by the Argentine population – whether to order imported goods or to save under the mattress — and also because more than half of their public-sector obligations to residents and non-residents are denominated in U.S. dollars. Argentina has ignored the recent U.S. Supreme Court decision just as it has ignored dozens of other prior court decisions which it previously committed itself to obeying, and also the decisions of various independent tribunals which it also had pledged to respect. The country is infamous not just for the very large number of arbitration claims filed against it, whether in the World Bank-sponsored ICSID or in other neutral, international fora, but for the number of adverse rulings it has refused to pay. Judge Griesa’s rulings, which have been backed unanimously by the federal Court of Appeals and also by the Supreme Court, did NOT “send Argentina into technical default.” The courts ordered the government of Argentina to pay certain judgment creditors who own less than 1 percent of the original debt whenever the government next paid those 92 percent of creditors who were coerced into accepting Argentina’s punishing debt-forgiveness terms in 2005 or 2010. It was Argentina’s choice to disobey the court rulings it had previously pledged to respect and to refuse to pay the holdout creditors in question, thereby having its payments to the 92 percent of creditors frozen until it complies. In sum, Argentina sent itself into a renewed unilateral default affecting nearly 100 percent of its creditors. There is nothing “technical” about it. Not at all. The Argentine bond case has enhanced the reputation of the U.S. judiciary as the most aggressive in defending creditor rights and in enforcing its judgments and it has improved the perceived fairness and credibility of U.S. financial markets. As to the U.S. dollar, it has strengthened tremendously in recent months not just against most currencies in the emerging markets – and of course against Argentina’s peso – but even against the previously mighty Japanese yen and Europe’s euro. ICMA is a trade association which comes up with model clauses for international financial contracts but has no enforcement powers. Therefore, its issuance of a position paper endorsing the enhancement of existing and quite prevalent collective-action clauses is NOT obligatory on anybody. It also does NOT place ICMA on the same side of entities advocating financial architecture reform such as the New Rules for Global Finance and the Jubilee Debt Campaign, because ICMA has NOT advocated financial-architecture reforms but, rather, minor clauses in existing sovereign debt contracts. The Jubilee Debt Campaign, incidentally, has been advocating for two decades for debt forgiveness to become a more widespread practice; they really don’t care about any systemic reforms. ICMA’s proposal, if adopted voluntarily, or pie-in-the-sky proposals by New Rules for Global Finance and the Jubilee Debt Campaign, would NOT give taxpayers in emerging economies the same bankruptcy rights as firms and households. In fact, it would NOT give them any rights that they don’t already enjoy. What those proposals would do is to curtail creditor rights, namely, the rights of investors and lenders in emerging and advanced economies whenever they invest or lend out their savings to governments in emerging and advanced economies. I thank Arturo Porzecanski for his detailed and thoughtful comments. Let me respond, clarifying points of our agreement and dissent. 1) Arturo is correct that Argentina’s government, both in the past and the present, often has behaved badly around fiscal and financial issues. There were sovereign debt defaults in 1828, 1890, 1982, 1989, and of course 2001. More to the point, the governments of Presidents Néstor Kirchner (2003-07) and Cristína Fernández de Kirchner (2007-present) have manipulated official inflation statistics (beginning in 2007), nationalized $30 billion work of private pension funds (2008), fired the president of the central bank for his unwillingness to use almost $7 billion of the country’s foreign exchange reserves to make foreign debt payments (early 2010), and effectively renationalized the petroleum firm, YPF, by dispossessing its Spanish purchaser, Repsol (April 2012), apparently under the mistaken impression that it then could turn around and use YPF to issue new sovereign bonds. Moreover, Argentine officials have angered people with whom they easily could have been conciliatory by being flippant and arrogant. After her crushing reelection victory in October 2011, President Fernández very publicly crowed, urging other emerging economy debtors to follow Argentina’s example and default. In 2012, while in the process of hearing arguments, Judge Reena Raggi or the New York Second Circuit Court Appeals notably referred to the country as “contumacious.” The writer of the Economist magazine’s Bello column (July 5, 2014) called Argentina the “Luiz Suárez of international finance,” equating the Argentine government’s rhetoric with the Uruguayan footballer ejected from the World Cup for biting. Is this behavior necessary or prudent? Surely not. 2) This said, there are larger principles at stake. Argentina’s government has won much international support not because it has been well-behaved, but because it is mostly right. The issue at stake is the precedent set within the de facto global sovereign debt regime, which has no central regulatory authority, but is rather an amalgam of the judgments handed down in the jurisdictions of the countries with the major financial markets, especially the United States. Many or most observers, including Anne Krueger, former World Bank chief economist and first deputy managing director of the IMF, argue that the centerpiece of a much-needed sovereign bankruptcy regime for distressed official borrowers should be obligatory collective action clauses for international sovereign bonds. Argentine officials obviously have hoped that they could impose such a clause retroactively on their holdout creditors (as the European Union essentially has done in its on-going Eurozone sovereign debt crisis). The fear of many observers is that the 1 percent of holdout creditors who sued (the so-called “vulture funds”), if they were to be paid in full, would first generate a suit by the remaining 7 percent of holdouts, and then would trigger the RUFO (rights upon future offers) legislation passed in Argentina after the 2010 restructuring, by which Argentina forbade itself to repay any holdouts in full unless all of the original creditors (including those who previously had accepted the exchange bonds) also were paid in full. Once RUFO was triggered, Argentina really would be bankrupt. Perhaps this all legal maneuvering and the sky would not, in fact, fall. However, it is this concern for global precedent and also for the contemporary Argentine economy that has stimulated the statements in support of Argentina’s legal position by sober establishment figures, from Martin Wolf, senior economics editor of the Financial Times (June 24, 2014) to Alícia Bárcena, Secretary General of ECLAC/CEPAL (June 26, 2014). 3) Arturo further writes, “The Argentine bond case has enhanced the reputation of the U.S. judiciary as the most aggressive in defending creditor rights and in enforcing its judgments and it has improved the perceived fairness and credibility of U.S. financial markets. As to the U.S. dollar, it has strengthened tremendously in recent months…” Here we do disagree. Yes, the case has strengthened the reputation of the U.S. as being a jurisdiction that is aggressive in defending creditor rights. And Arturo and I concur that secure rights in financial property are essential for capital markets to function. However, well-functioning financial markets require both creditor and debtor rights. Moreover, while case law based on precedent and aggressive litigation is at the core of the U.S. legal system, this is neither the only way nor the best way to regulate global financial markets. 4) Finally, my point about the strength of the U.S. dollar is not falsified by its short-term (or even medium-term) strength against other currencies. Rather, I made a structural observation about long-term trends, viz. : If sovereign as well as corporate borrowers (and investors) do not feel protected while being regulated by U.S. financial law, then they will, whenever possible, seek alternative jurisdictions. U.S. dollar hegemony no longer rests on our status as a net creditor nation, whether in terms of annual flows (in deficit since the early 1980s) or accumulated stocks of financial assets owned abroad (in deficit since the early 1990s). Today it rests largely on the attractiveness and sophistication of U.S. domestic financial markets and institutions. 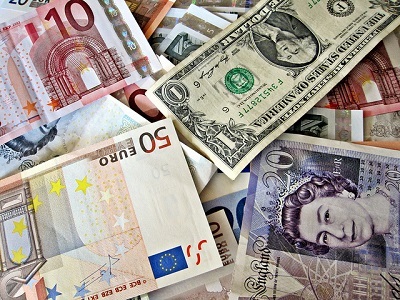 If U.S. leaders wish to retain the U.S. dollar’s role as the pre-eminent global reserve currency as long as possible, then they should recognize a U.S. national interest in having its financial markets, especially in New York City, work as well as possible for all of their many constituents and stakeholders. In my judgment, a victory for the hedge funds does not further this outcome.